You don't often hear Googlers say something is too "difficult" technically to implement but one implied that in the Google AdSense Help forums this weekend. The Sites dimension is not supported by AdSense for Search. This is not an unintended bug but a known technical limitation: it is surprisingly difficult to properly extract the site information for the Search product. We are aware that the limitation is not obvious in the reporting interface, and have been considering various ways to improve the situation. I always find it fascinating when I read Guillaume's posts in the AdSense forums. 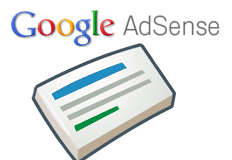 Just recently he shed some interesting light on how AdSense pricing works. Now he explains why certain reporting is so difficult it is almost impossible to make perfect.